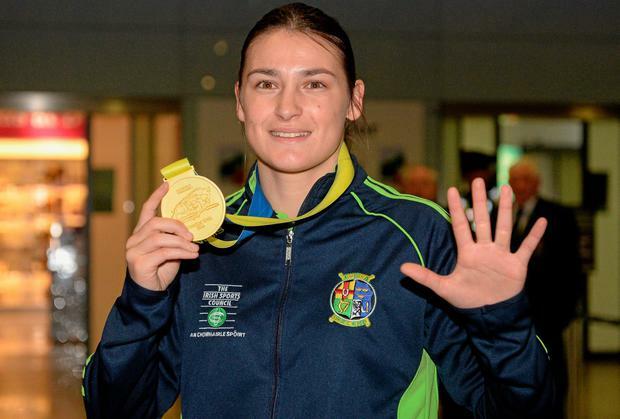 Conor McGregor's coach John Kavanagh has revealed that Olympic gold medallist Katie Taylor has shown an interest in getting involved in mixed-martial-arts. Speaking on Newstalk today, the head of the increasingly successful SBG gym said that women are becoming more and more interested in the sport and the Bray brawler has shown an interest. "There's less women, maybe because they are smarter than us," he said. "It's definitely growing and there is a big scene in the States. Aisling daly is a celebrity over there. She's very well known and featured on that reality tv show, The Ultimate Fighter Show. "There's another girl in my club Sinead Kavanagh, who is a five-time national champion boxing. She trained alongside Katie Taylor. "Katie Taylor has actually shown some interest in possibly training in mixed martial arts one day. "I've been speaking to people, so who knows we might get her over after she wins her next championship." Taylor was one of the first of Ireland's biggest sport stars to congratulate McGregor on his second round TKO victory over Denis Siver in Boston. She tweeted: "No one in the history of Irish sport has captivated the public like @TheNotoriousMMA has. You're an inspiration!." McGregor responded: "Thank you @KatieTaylor!! You are one of Ireland's pound for pound greatest athletes!! It is an honour :-)."